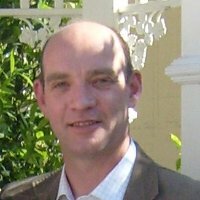 Andrew Hill has been a director/consultant in Ventana Systems UK since 2000. Prior to co-founding Ventana System UK, Andy spent 10 years as a defence analyst, working across a broad spectrum of projects, from manpower recruitment & retention to a complete tri-service analysis of the UK defence equipment requirements. Whilst with Ventana, Andrew’s focus has been within the health & pharmaceutical sector, evaluating demographics of drug utilization trends from national prescription databases, patient flow analysis and international drug pricing strategies. His systems approach to tackling problems allows him to concentrate on the important & practical issues, and not be side tracked by issues not central to the problem solving requirements. Developing Business Simulation tools and broad based operational analysis to a range of UK & overseas clients. Simulations have predominantly been developed using Vensim software. Manufacturing and retail modelling for global corporation. 3G Mobile Technology Strategy Simulator interface design & development. Modelling US pharmaceutical usage and disease management.